Good morning and happy Friday! Tonight is 'date night' and I want to share with you a mask I will be doing especially for today. My face is particularly puffy in the mornings and sometimes throughout the day depending on what I eat. However, I have found a way to counteract this in a simple and effective way containing only 2 ingredients. Caffeine, one of the hottest ingredients in skincare targets tired eyes and faces and I am a bit tired of people trying to sell me products which contain caffeine when it's easily available from the comfort of your own home. Why not just slap the caffeine in this case coffee which contains high does of it directly on to your face?! Well me and my bright ideas, I mixed a spoonful of coffee with a little bit of hot water to form a paste, left it to cool and voila, a mask was born. I have seen other similar coffee masks and you can do it any way as long as coffee is the main ingredient, but the way I do it definitely has impressive effects. Caffeine works as an anti inflammatory and has the ability to de-puff swollen skin. It also has the benefit of tightening the skin and reducing under eye circles which is why so many skin care brands contain the ingredient. Caffeine is also very easily absorbed into the skin so the results are almost instant. I apply the mask in the mornings and leave to settle for about 20 minutes, the tightening sensation is incredible and well worth a shot, it definitely wakes you up. Once I wash the mask off, the puffiness on my cheekbones and eye area have disappeared as my skin has tightened and brightened and overall I look more awake and energised. You can also add honey, milk and even coffee grounds to achieve different results. The best thing about this mask is it's free and fool proof and don't worry it doesn't stain the face! I definitely recommend this to all the mamas and early starters or if you have a special event and want your skin to look alive! What are some of your favourite DIY face masks? I was with a friend last week and she convinced me very easily that I needed longer hair, I had been thinking about it for a while as my hair is in an 'in-between' shoulder length style which I have been HATING, and to top it off, the colour was pulling red as I had recently dyed it with a supposed 'chocolate brown' *side eye*. I was either going to chop my hair or elongate my locks and yesterday was the day. I really did enjoy having 'sew in hair extensions' in the past but needed a new method which lasted longer. I have about 5 different types of 'clip ins' at home which never get any love whatsoever, that feeling of a clip in coming out? no bueno. I went for the 'micro bead' method which attaches the extension to your own hair via looping it through and then clamping it shut. My hairdresser which is also a close friend said that the beads vary, and she used the beads which has silicone on the inside to protect the natural hair follicle and metal on the outside to prevent rust. 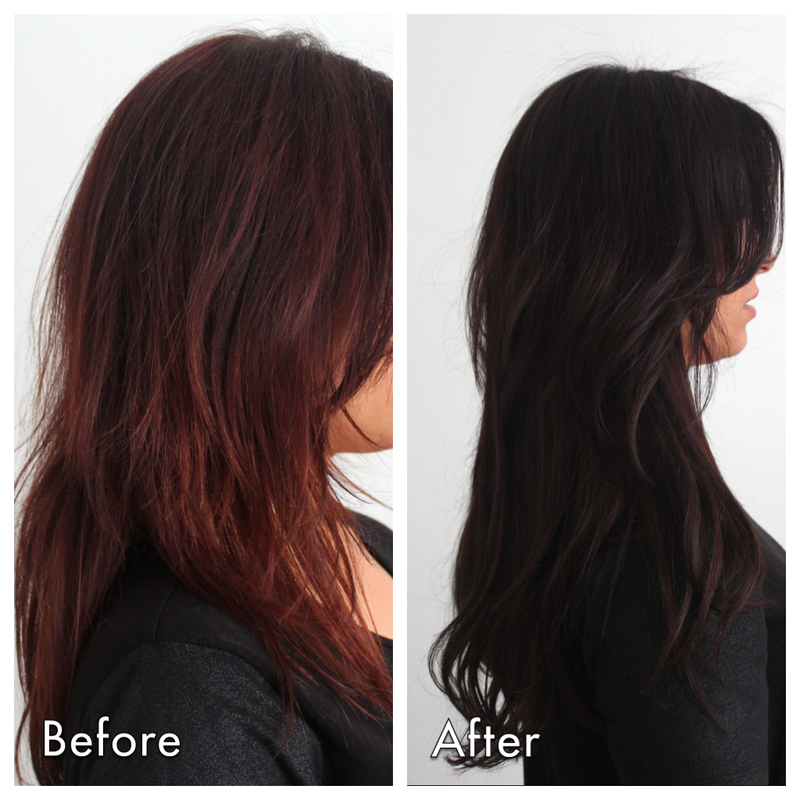 This type of extension is supposed to be non damaging to the hair and very long lasting if you take good care of it. She used 100 micro bead extensions which is 3/4 of a set, they are mainly placed on the back and scattered around the sides. She also dyed my hair a dark ash brown to counteract the redness which is basically my natural hair colour so it will be pretty low maintenance! The bonds aren't visible and I can have my hair out, pulled back or even half up half down and still conceal everything. The whole process took about half a day but it only took about an hour and a half to attach the actual microbeads which was so quick as I was expecting to sit there for hours, luckily my friend is a pro and has been doing this for years and actually training to be a teacher so it really made my mind at ease. She is a mobile hairdresser based in London so she came to my house and we was able to chill and chat and enjoy the whole process. I couldn't imagine taking Esra with me to a salon and sitting there so this way she was able to take an afternoon nap whilst we got busy. The beads are placed like brickwork and scattered so the result is natural and it all kind of blends in. I was a little worried initially as I didn't want scraggly extensions and was aiming for a natural result which is what I got. We decided not to add choppy layers for now and only added long layers at the front, we will however reevaluate soon to see if I change my mind. If you look carefully you can see some of my top layers from my natural hair are visible but you will only be able to tell if I wear my hair dead straight and I plan on wearing them wavy most of the time. I shall see how I get on, right now I can't wait for boho braids! :) However, I do think that layering it a little more will give a more voluminous effect when curled, I will do another update if I change them. 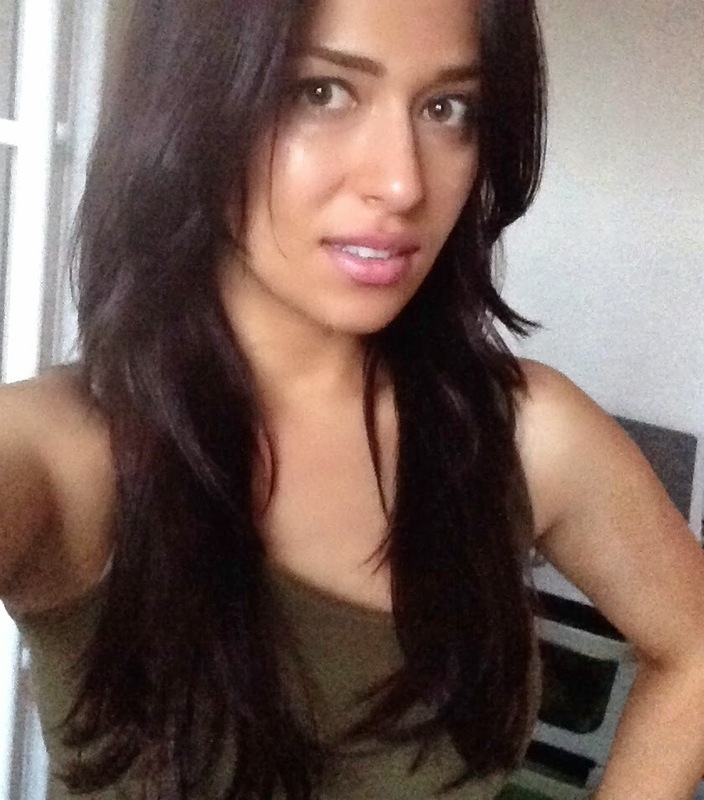 These extensions can last between 6-12months, depending on how you take care of it, this also heavily relies upon the hair, mine was 'Mixed Eastern European' hair which blends in with my own perfectly as the texture is exactly the same as mine. 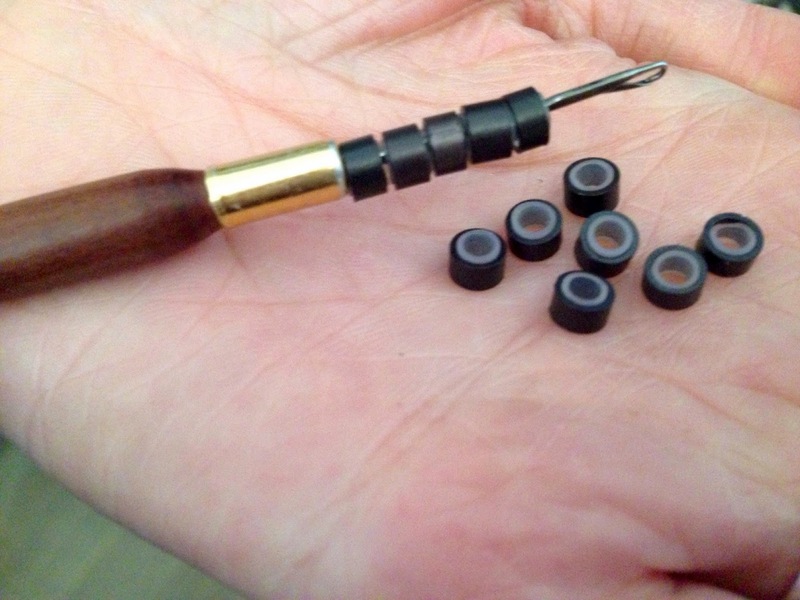 It also depends on how the extension is applied, like if it's positioned correctly and the correct use of beads. You also have to take very good care of it, and it's recommended you sleep with it in a braid to prevent tangling. 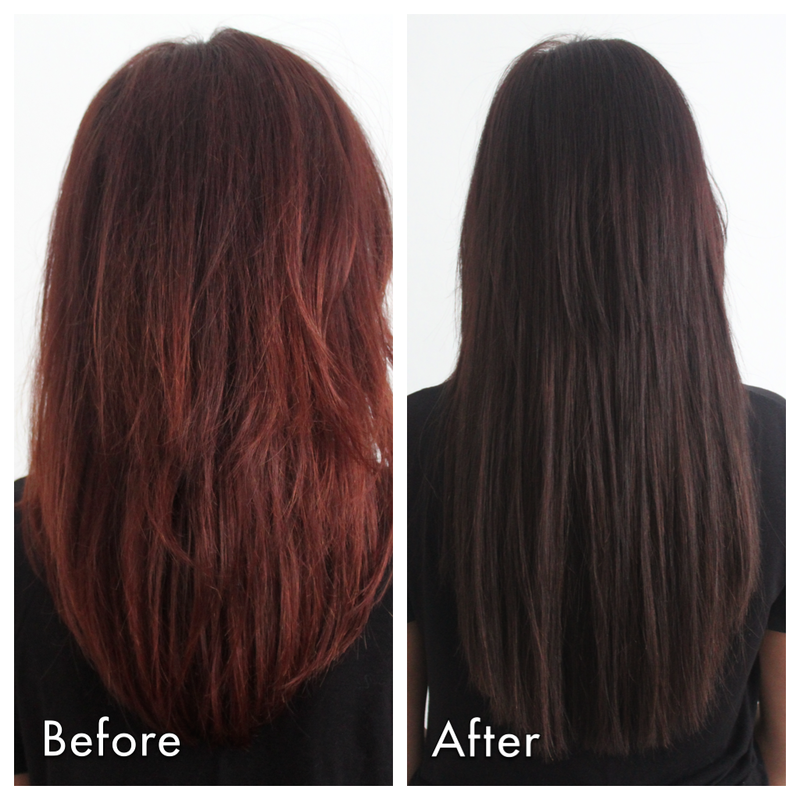 You also have to be careful with heat damage and be careful not to apply direct heat to the bonds as the keratin will melt off. I may need to freshen it up in a couple of months but I will see how I get on depending on my regrowth. This is actually a great way to grow out my hair as I can enjoy the process along the way. As for now, apparently I should expect a week of feeling uncomfortable as I need to get used to the extra weight in my hair, but I'm sure I will be fine. They don't feel half as uncomfortable as the first day I got the sew ins done. I will definitely do an update on how I'm caring for my hair, and a full on review once I have them removed whenever that may be! 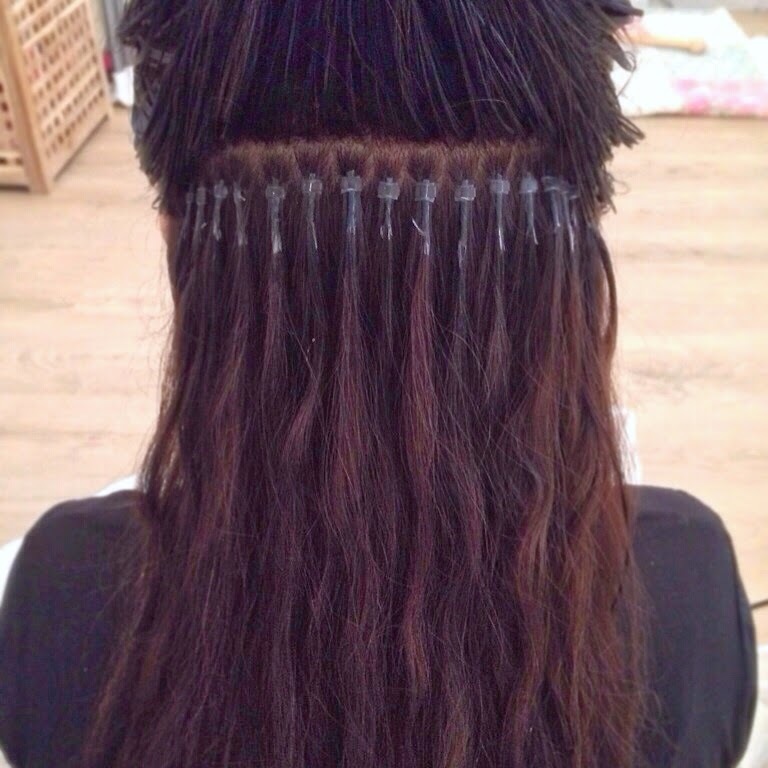 What are your thoughts on 'micro bead' hair extensions? Would you do it? I'm in LOVE, excuse me whilst I do a little dance and enjoy my hair! Good morning and happy Thursday! Wow it has been ages since I last blogged, we are now pretty much settled into our new place minus the dining table, doors, my dressing table and tiles in the bathroom.... Errr ok we still have a lot to do but it's looking pretty good. Yesterday I treated myself to a few things that I'm excited about so naturally I had to share! KIEHL'S Creamy Eye Treatment - I just love the texture of this, it's basically one of the most hydrating eye creams on the market, it has a thick but smooth consistency and has a slight sheen finish which I love. It's enriched with avocado oil and will enable my concealer literally glide on. I aim to use this mainly in the mornings as I am using a different eye cream at night which is more of an anti ageing one. AVENE Thermal Spring Water - I go through bottles of this stuff like it nobodys business. I use it to freshen up during the day particularly when I need a little wake me up, I use it like a toner to mist over my face (although now the SA at Kiehl's made me want their calendula toner) I also use it after my makeup almost like a setting spray when I am out of Mac fix+. THE BODY SHOP Mango Body Butter - I love body butters and the body shop ones have always been my favourite, I used them throughout my pregnancy and love all the different scents. Mango has always been high up there scent wise and yesterday I managed to grab the body butter, shower gel and perfume all for £15 as they had some kind of special offer. BENEFIT Fake Up Concealer (Shade 02) - I LOVE love love this, it's my second tube and I was scraping the remainder of the last tube with a brush and usually I'm quick to toss products. This concealer has a balm and an extremely creamy and hydrating texture that manages to last all day without creasing. REAL TECHNIQUES Miracle Complexion Sponge - I have wanted to try this for ages but it's always been out of stock but I finally got it yesterday *happy dance* I have never tried the 'Beauty Blender' as I find the price ridiculously high for a sponge, but have tried a dupe version in the past by 'Cosmopolitan' which I really enjoyed. The shape of this RT one really excites me and I'm really looking forward to trying this baby on my face. The idea is to wet the sponge then bounce/stipple your base to create a airbrushed dewy finish and use the different angles to get different finishes. What have you purchased for yourself lately? And do you have any favourite Kiehl's products you would recommend?